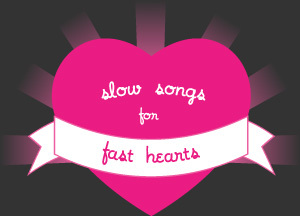 Only 3 days left to listen to this on the BBC iplayer, so get to it! From the left: Chrissie Hynde (The Pretenders), Deborah Harry (Blondie), Viv Albertine (The Slits), Siouxsie Sioux (Siouxsie & the Banshees), front: Poly Styrene (X-Ray Spex), Pauline Black (The Selector). 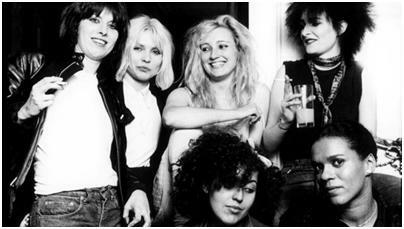 Harking back to the famous photograph taking by Michael Putland for the New Musical News in 1980, Pauline Black, lead singer of two tone band The Selector interviews Viv Albertine (The Slits), Poly Styrene (X-Ray Spex), Siouxie Sioux (Siouxie and the Banshees) and Gaye Advert (The Adverts) about their experiences as female musicians of the “new wave” in the late 70s, early 80s. Particularly interesting for me was Pauline’s mention of the fact that both she & Poly Styrene were mixed-race, which affected how, Pauline at any rate, presented herself on stage. The topic didn’t really get much further than this mention, but it was very intriguing, and I’d love to hear more about what the two women have to say on the matter. Oddly, she interviews Jean-Jacques Burnel, lead singer of the Stranglers, and he discusses how his band were sadly misunderstood, and even persecuted by the feminists of the day, boo-hoo to him. I thought it quite an excellent juxtaposition though, to have all these amazing women who inspired and empowered so many other women, speaking about their experiences alongside someone who was their peer, and yet who achieved exactly the opposite effect.